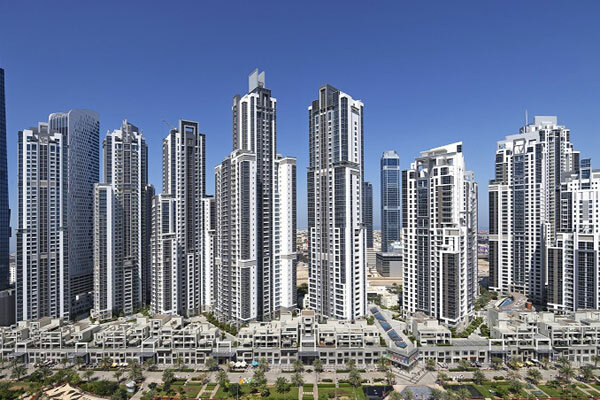 Dubai Properties, a member of Dubai Holding, has completed the instalment of energy-saving systems in its communities that will offset an estimated 1,450 tonnes of carbon dioxide (CO2) emissions annually. The master developer enlisted Honeywell, the Fortune 100 software-industrial company, and Signify (formerly known as Phillips Lighting), a world leader in lighting, to carry out energy-efficiency upgrades at its Business Bay Executive Towers development as it continues its drive towards enhancing the sustainability of its communities. The enhancements include the upgrade of building systems and facilities in 11 towers, which will lead to 3.3 million KW/hr of energy savings annually, an approximate saving of Dh1.5 million ($408,000) in energy bills. The resulting CO2 emissions offset are equivalent to removing 310 cars from the road for one year or planting 336 trees. “Our aim is to contribute to national efforts towards making Dubai an environment-friendly city and support initiatives that further encourage building energy efficiency in line with the goals of the Dubai Integrated Energy Strategy 2030,” he added. In keeping with Dubai’s efforts to double energy efficiency by 2030, Dubai Properties collaborated with Signify to retrofit the existing lighting in 11 residential buildings and corresponding parking area with LED lights, covering a total of 16,000 light points and ultimately resulting in improved comfort levels for residents and visitors to the community. In collaboration with Honeywell, an upgraded and fully-digital building management system (BMS) has been implemented to monitor and control mechanical and electrical utilities across building systems and facilities. Integrating fan coil units (FCUs) into the BMS helps provide visibility into electricity consumption, and thereby achieves a reduction in electricity bills. As part of this priority, Honeywell implemented control logic software to operate the FCUs on a set time programme that regulated cooling and indoor temperatures based on outside air temperature. A complete analysis of the programme was also carried out to identify likely challenges and improve building systems. “Honeywell is focused on building a smarter, safer, and more sustainable world, and we are committed to helping our customers in Dubai and across the UAE achieve better energy efficiency, cut costs, and reduce greenhouse gas emissions," said Paolo Cervini, president for Honeywell Building Solutions, Middle East, Russia, Turkey and Africa.